For those of you who don’t pull your head up from your school books or the most recent issue of The Villanova Times long enough to take note of large cultural events, the 86th annual Academy Awards are quickly approaching. Now, if you’re like me, you are thinking to yourself, “Hey, that sounds familiar. Is that the lesser known spinoff of “Are you Smarter than a 5th Grader?” Or maybe you are smarter than that and are thinking, “that’s the one where they hand out those statues that hold up large circles, right”? But alas, in both instances, you’d be wrong. 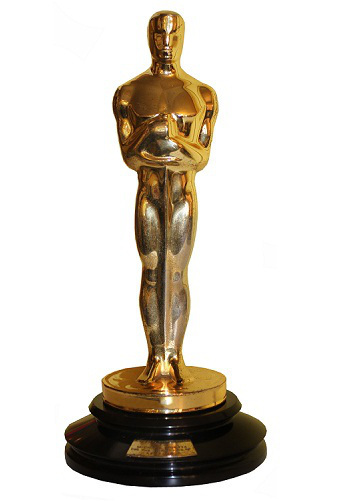 The “Academy Awards” is the formal term for what has come to be known as the “Oscars” (fun point of trivia for those us who aren’t the biggest Oscars geeks: the reason the Academy Awards are nicknamed the “Oscars” is still shrouded in mystery. Some believe that it can be traced back to an employee expressing the statue looked like her Uncle Oscar, while others believe it was circulated by the press). These awards are presented to nominated actors, actresses, movies,TV shows and many more categories that have exceeded the level of performance of their peers. It is one of the most prestigious Awards given to entertainers, entertainment and various members of the production staff. But enough of the boring backstory! Here’s what to expect this year (or at least the highlights). The Academy Awards are being hosted by the most popular daytime TV host: Ellen DeGeneres (She also hosted the 79th Academy Awards). The Awards themselves have been pushed back a week due to the Winter Olympics in Sochi, Russia and will take place on March 2 on the ABC network. The two movies with the most nominations for awards are Gravity and American Hustle. From a small poll taken on our own campus, it looks like American Hustle stands the best chance of winning Best Picture this year. Also it seems like Villanovans think Leonardo DiCaprio should win his first Oscar this year for his scandalous role in The Wolf of Wall Street and Meryl Streep will win her billionth for Osage County. Whether or not you agree, be sure to tune in March 2nd and appreciate 2013’s amazing cinematic achievements! ← What Did You Stream Over Break?